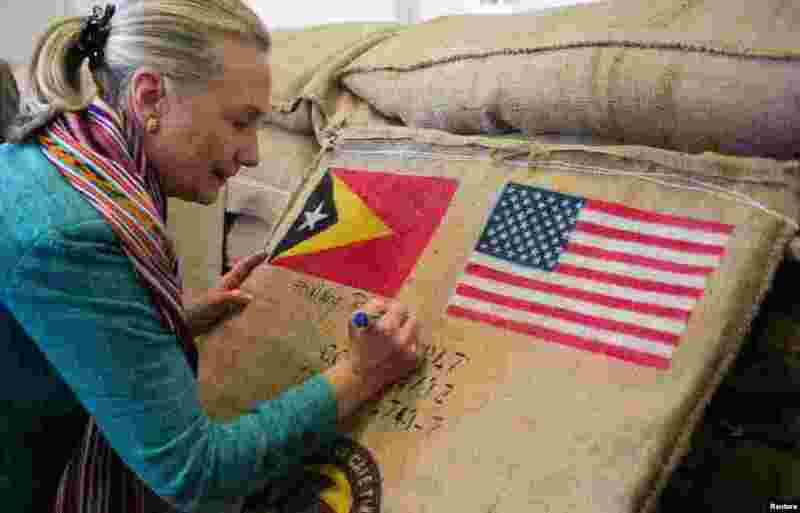 1 U.S. Secretary of State Hillary Clinton (C) autographs a sack of coffee beans with the flags of East Timor and the U.S. , at the Timor Coffee Cooperative in Dili September 6, 2012. 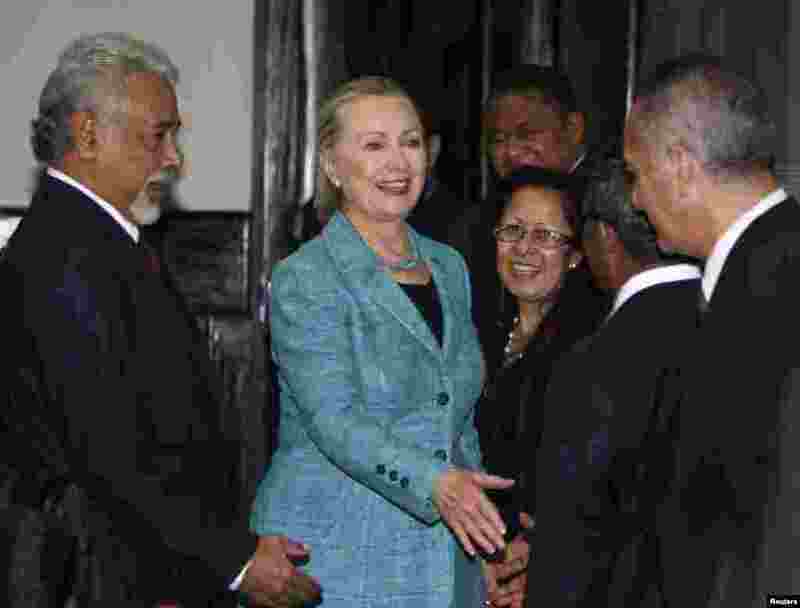 3 U.S. Secretary of State Hillary Clinton (C) shakes hands with staff members next to East Timor's Prime Minister Xanana Gusmao (L) at the Prime Minister's office in Dili September 6, 2012. 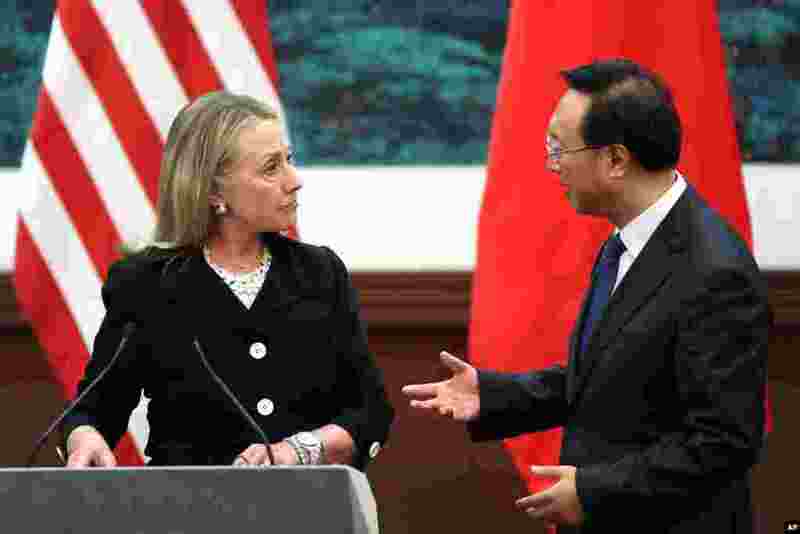 4 Chinese Foreign Minister Yang Jiechi, right, talks with U.S. Secretary of State Hillary Clinton after attending a press conference at the Great Hall of the People in Beijing, September 5, 2012. 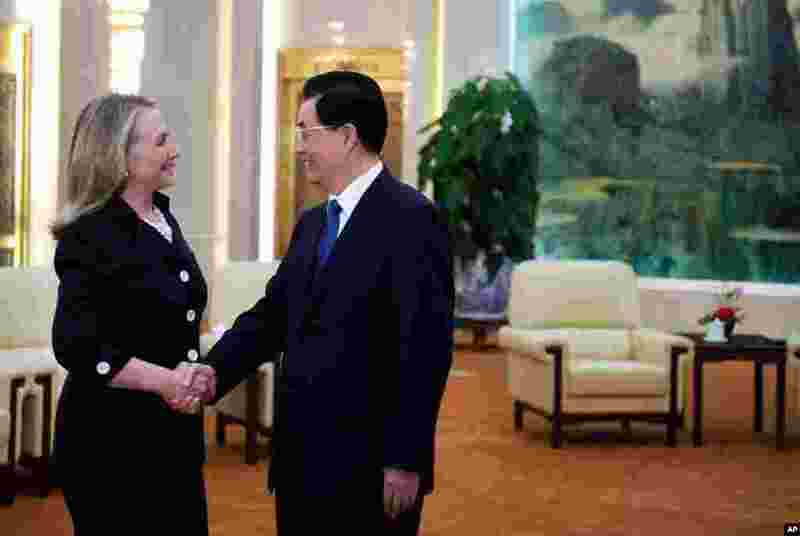 5 Clinton shakes hands with Chinese Premier Wen Jiabao at the Zhongnanhai leadership compound in Beijing, September 5, 2012. 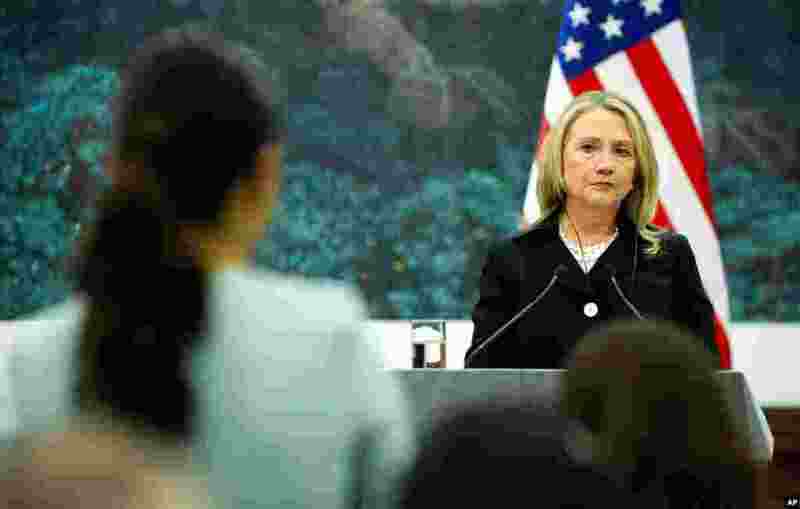 6 Clinton takes questions from the Chinese press during a joint press conference with her Chinese counterpart at the Great Hall of the People in Beijing, September 5, 2012. 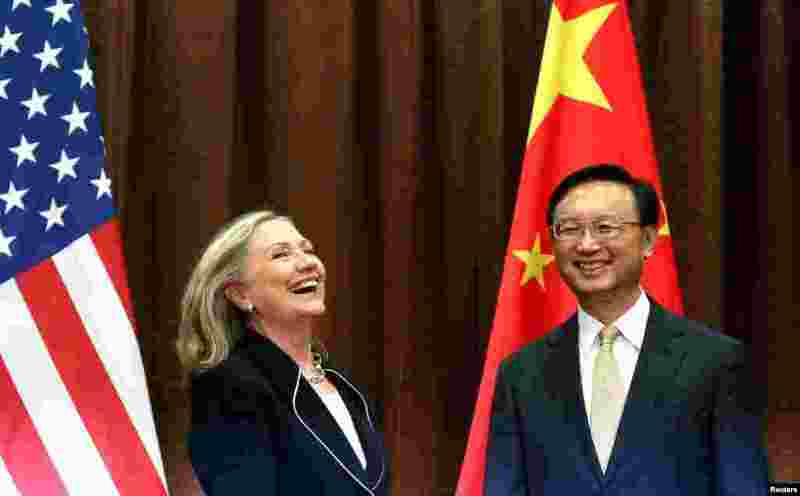 7 Clinton meets with Chinese President Hu Jintao at the Great Hall of the People in Beijing, September 5, 2012. 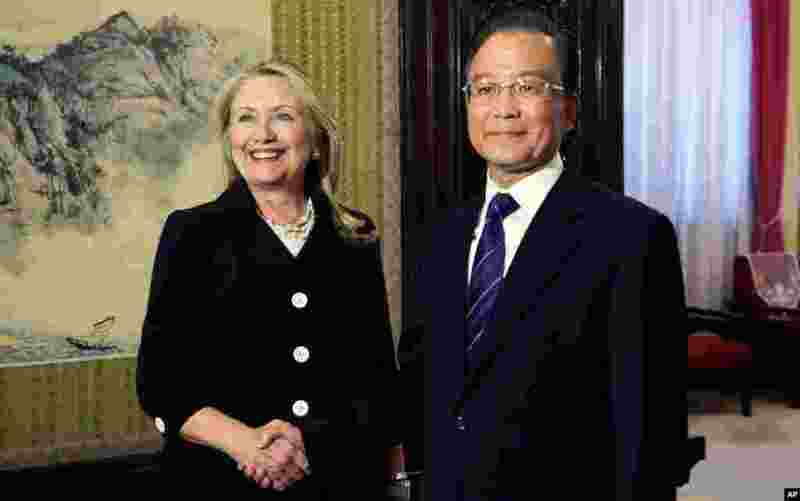 8 Chinese Foreign Minister Yang Jiechi meets with Clinton in Beijing September 4, 2012. 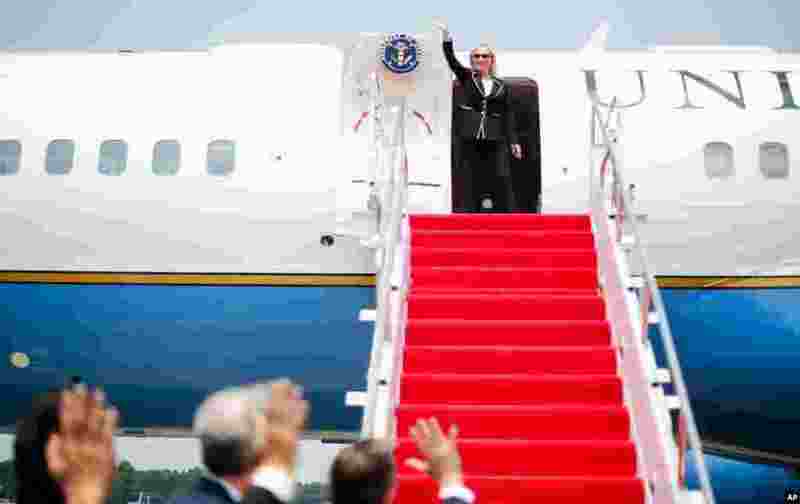 9 Clinton waves as she departs Halim Perdanakusuma International Airport in Jakarta, Indonesia, September 4, 2012. 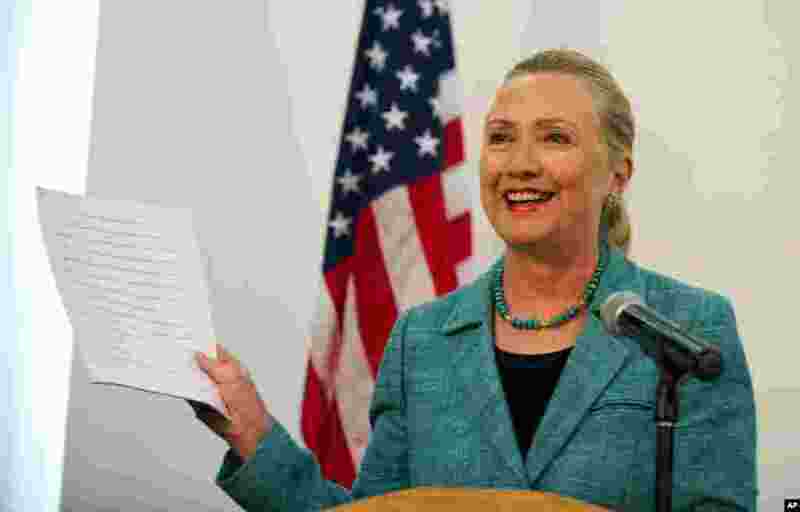 10 Clinton speaks with ASEAN Secretary-General Surin Pitsuwan during a meeting at the ASEAN Secretariat in Jakarta, September 4, 2012. 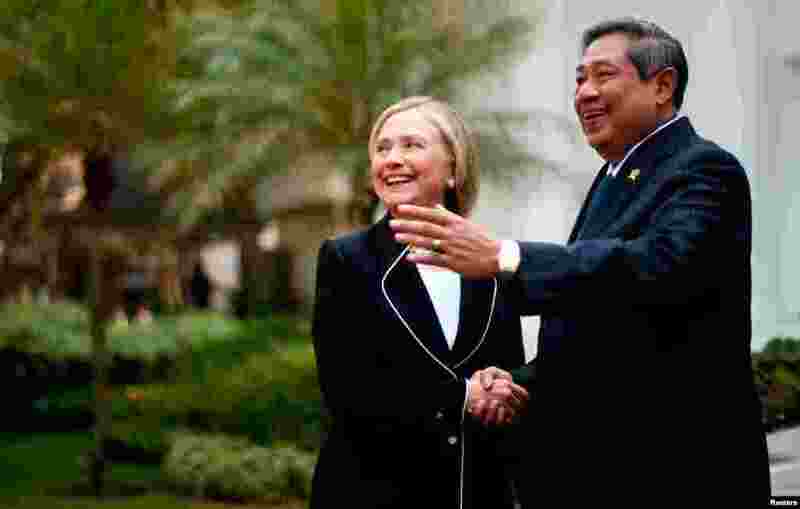 11 Clinton shakes hands with Indonesian President Susilo Bambang Yudhoyono upon her arrival for a bilateral meeting at the Presidential Palace in Jakarta, September 4, 2012. 12 Clinton meets with U.S. embassy staff and family members during a meet and greet in Jakarta, September 4, 2012. 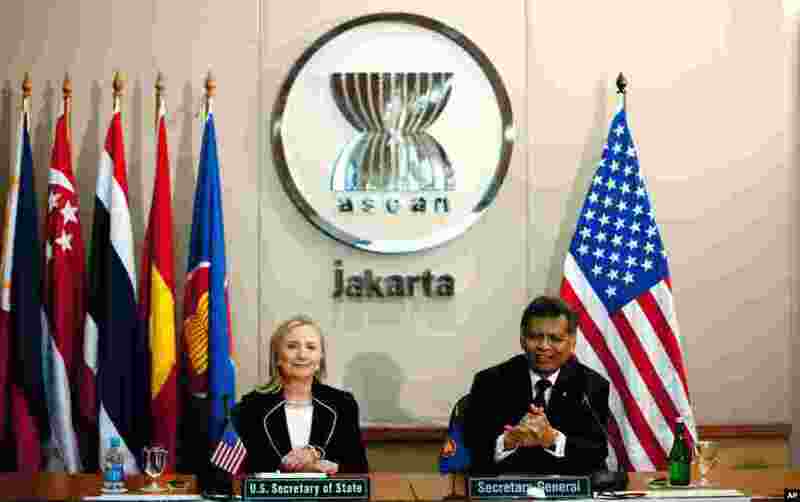 13 Clinton speaks with ASEAN Secretary General Surin Pitsuwan, Jakarta, September 4, 2012. 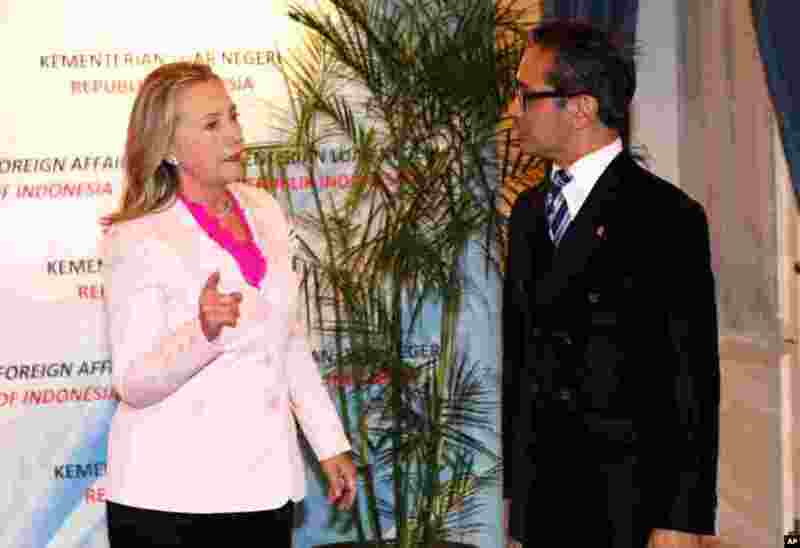 14 Clinton talks to Indonesian Foreign Minister Marty Natalegawa prior to their meeting in Jakarta, September 3, 2012.